1. The wordy speech delivered by President Assad yesterday, in which he thrashed out his plan for a peaceful end to the Syria crisis and his vision of the country’s future. 2. The advisory issued by Saudi grand mufti Sheikh Abdulaziz Aal al-Shaykh to the kingdom’s mosque preachers. He directed them against inciting Saudi men to join the jihad in Syria, saying they should suffice with donations to Syrian insurgents through official Saudi channels. 3. Israeli Prime Minister Binyamin Netanyahu’s pledge to erect a Golan fence to shut out global jihadists from Syria. 4. Mounting complaints by Syria’s armed opposition led by the Free Syrian Army (FSA) that military and financial aid from Arab and foreign friends is tapering off. 5. A meeting in Geneva later this month of Syrian opposition personas who support talks with the regime. Organizers say several European countries, including Germany, Switzerland and Sweden, back the gathering aimed at upholding Syria’s territorial integrity and demographic unity. The five developments are interrelated and complementary. They foretell, in whole or in part, a reshaping of the Syrian scene. President Assad’s address disappointed his opponents. It didn’t sound like a speech by someone defeated and forced to go underground. His address was more forceful and eloquent than anything he delivered throughout the uprising. And although he dwelt on and appreciated a political settlement, he delivered a preemptive blow to all political solutions currently on the table. That includes the Geneva initiative of the United States and Russia, which his regime had earlier accepted. President Assad said clearly he wouldn’t negotiate with the overseas opposition, which he accused of being puppets of the West. He said if he wanted to talk, he would talk to their masters – or to the original copy, not the photocopy, as he put it. He also reiterated he was staying put and won’t accept any request or hint to step down. Judging from his address to the nation yesterday, here is a man who is determined to persist with his current approach to the tag end, regardless of the losses in human lives. President Assad’s insistence on fighting jihadist groups – and Jabhat al-Nusra, which he deliberately avoided naming – was intended to (1) marginalize the external opposition and its internal offshoots (2) acknowledge the potency of jihadists on the ground, and (3) court Western countries, chiefly the United States, which had listed as terrorist some of the jihadist groups. 1. His offer of a political settlement featuring new elections, a new parliament, a new constitution and an all-embracing national dialogue is much the same as an acknowledgment that all his previous reform measures to try and appease the public convinced no one. 2. His description of the Arab Spring as a soap bubble was overly simplistic. The Arab Spring, for instance, brought down an Egyptian regime that paralyzed the pan-Arab nation for 40 years… If it were not for the Arab Spring, President Assad would not have spoken of an all-embracing dialogue and new parliamentary elections or recognized the need to co-opt the internal opposition. 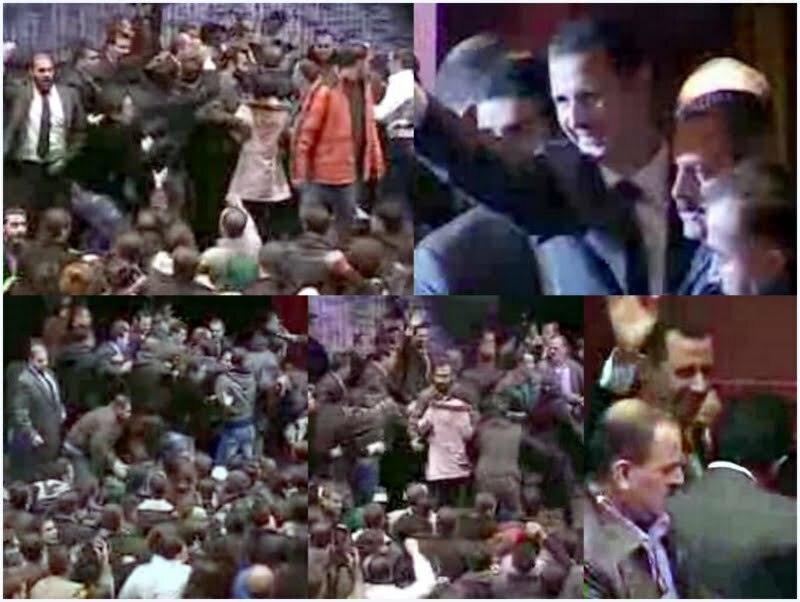 It is also worth reminding that Assad, in the early days of the Arab Spring, incited people to revolt against regimes outside the so-called Axis of Resistance. 3. His dismissal of the overseas opposition as a nonentity. The absence of an opposition in Syria is because the regime always kept its opponents in prisons and detention centers. Even internal opponents with whom he is willing to talk – such as Hassan Abdel-Azim, Aref Dalila and Luay Hussein – have all served time in jail and have been tortured either physically or morally before. President Assad is unlikely to fall without foreign military intervention. But such outside involvement is less likely, if not more doubtful, than ever before. The U.S. administration fears the fallouts and can’t bear a humiliating outcome such as in Iraq and Afghanistan. The Saudi grand mufti’s advisory, the Saudi foreign minister’s remarks yesterday (that the kingdom supports a peaceful solution in Syria, leaving the question of Assad’s exit to the Syrians to decide) and FSA grumbles about financial and military assistance drying out – all these are pointers that make the Syrian president less anxious about his fate than he has ever been. 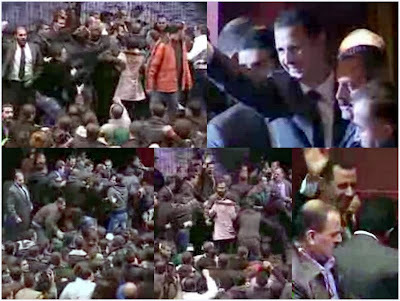 Many predicted President Assad’s fall in 2012, either by the yearend or earlier. But with America playing it cool, with sectarian polarization rising and with mounting fears of Syria spillovers into neighboring countries such as Iraq, come about Israel’s Golan fence, the Saudi grand mufti’s advisory, Egypt’s indifference and instability in some Arab Spring countries. All these are factors liable to extend the life of President Assad and his regime for another year, if not beyond. God knows!